Welcome and Happy Mother’s Day to all the mothers out there. I have had a lovely day with my family and started getting my next workshop sorted using the gorgeous Taste of Summer papers and matching stamp set. More on that at a later time. Here are some cards that I have made using the Artfully Sent cartridge. I have backed the card with Pixie cardstock and cut the leaves in Pear cardstock from the Art Philosophy cartridge. The flower is from the A Budding Friendship stamp set and I have stamped it with Pixie and Black inks. The sentiment has been stamped with Versamark ink and heat embossed with silver Ranger embossing ink. I have coloured the flowers with the ShinHan Touch Twin marker Tender Pink and finished off with an extra thick Pixie twine bow. 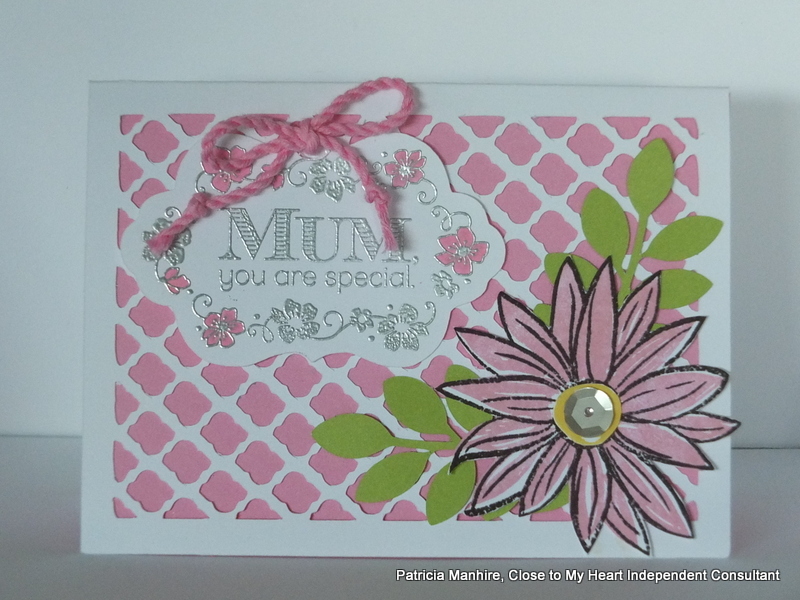 For the next card I have been inspired by the card in the Annual Inspirations Book and used the lovely Mother’s Day stamp from the Flowers For Mum stamp set. 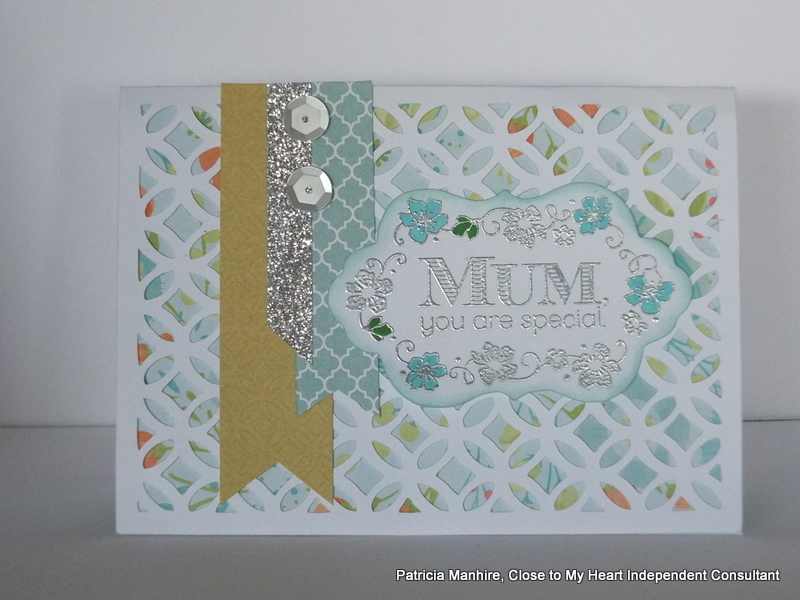 I have heat embossed with Ranger silver embossing powder and coloured in the flowers with the ShinHan Touch Twin markers, Turquoise Blue and Cerulean blue Light. The edge has been sponged with Glacier ink to help it stand out from the Blossom background. I love the different papers from the Whimsy Paper Fundamentals pack and here I have used the Glacier and Flaxen colours. This was a very quick and easy card to make. The next card is a scene card from page 37 of the Artfully Sent cartridge. I have kept the colour scheme simple with Flaxen cardstock and the Flaxen paper from the Whimsy Paper Fundamentals pack and White Daisy cardstock. 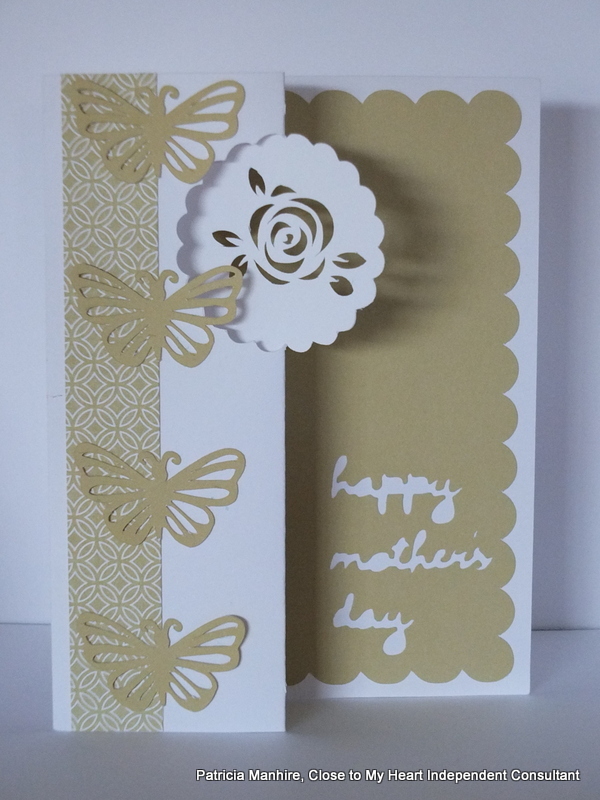 Another simple card finished off with the butterflies on page 14 of the Artfully Sent booklet. 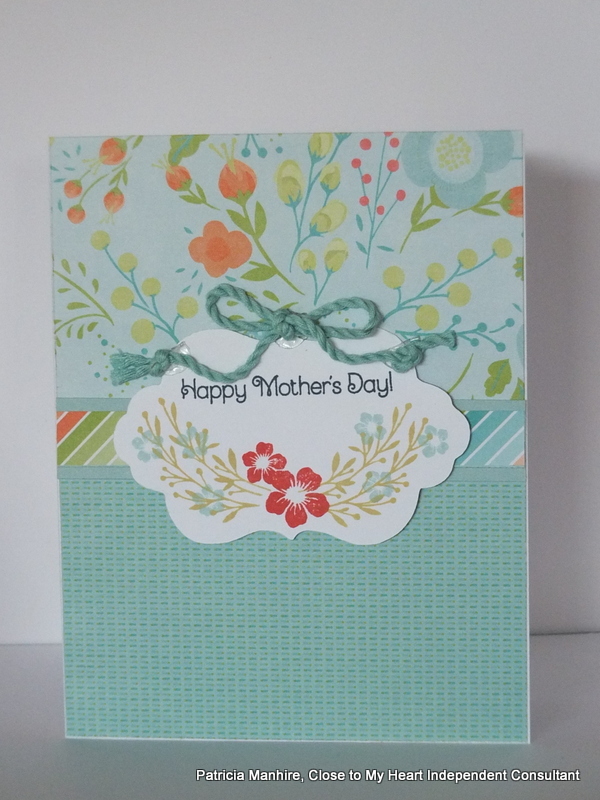 Finally I have done a quick card using the Blossom papers and the gorgeous stamps from the Flowers for Mum and Happy to Be Friends sets from the Seasonal Expressions 1 booklet. These stamp sets are still available for a year while stocks last. The extra thick twine bow in Glacier just finishes it off. All these products are available on my website here or just click on any of the highlighted text to go straight through to the website to order.